Brighton’s The RPMs have not been shy in coming forward when it comes to getting people’s attention and getting where they want to be. They wanted to be at SXSW so here we found them. The band have been traipsing up and down the UK making fans and now it’s time for them to try their luck on US soil too. So we have for you…. 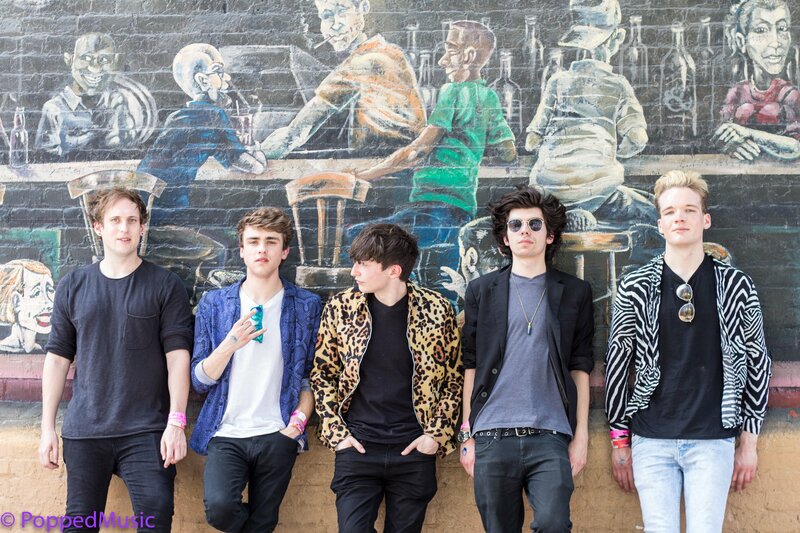 SXSW with The RPMs. What are The RPMs about and what have you been up to in the UK that lead you here? Jack: Yeah, you know, we have a passion for music that we’re playing and we just want to get onto as many stages as we can and make this into a career. So that we can do the job that we love. How did you end up at SXSW this year? Ollie: We built a raft and strapped various porpoises to it and travelled across the Atlantic Ocean. It was great as it gave us time to rehearse along the way…. Ollie: We wrote some new songs, they’re pretty decent. Jack: We got invited, we got invited. Basically, we got an invite from them to come and play. Jack: Loving it, I mean come on being in America playing gigs, what’s not to like? Ollie: There are people walking around putting snakes around your neck, how can you go wrong with that? Well you like animal print so it’s all good! Chris: Yeah I’m all about the snake print (pulls at his shirt). Who are you looking forward to seeing/who have you seen already? Jack: We saw them once in Brighton and they were amazing. We saw them again here and they’re still amazing. We’ve met them a couple of times and chatted and briefly hung out with them and hopefully we’ll get to see them again and hang out some more. They’re just amazing. They play like this weird ambient stuff between their songs and they have these choreographed dances and they all wear raincoats. It’s just mad an I love it. Ollie: Shame are pretty decent, it’s good to see them. And of course Frank Turner. Callum: I’m looking forward to Men We Trust, they’re playing. Miguel: There’s a whole bunch of them. I mean… I wanted to see Saint Sister, but unfortunately we missed them last night but I still want to try and catch them today if I can. Other than the festivals this Summer, what are the plans? Jack: Obviously we’ve recorded a lot of singles at the moment so we have two more to release after Your Ghost, that we look forward to getting out. Ollie: To be honest it’s kind of a big writing year. Callum: We don’t know what the plans are later in the year, but hopefully a support tour or something would be ideal.